A plan to reduce automobile traffic in Beijing was in the hands of the city’s mayor in late 2013. EfD China played a major role in figuring out what strategies would – and would not – be likely to reduce the pollution and congestion that Beijing residents have been facing as a result of economic growth. This market-based solution has been five years in the making. 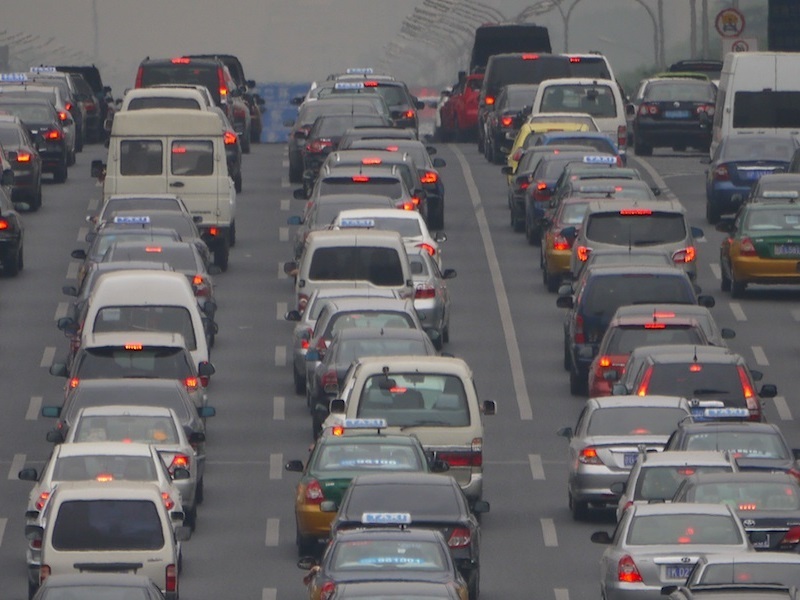 “In preparation for the 2008 Olympics, Beijing imposed rules barring cars from the central city, based on license plate number,” explained Dr. Ping Qin, deputy director of the center. These temporary restrictions were followed by similar rules that remained in place after the Olympics were over. Based on the last digit of the license plate number, each car was banned from central Beijing one day a week during peak hours. But pollution and congestion continued. To find out why, EfD researchers turned to the annual Beijing Household Travel Survey, in which thousands of households agree to fill out a one-day travel diary and complete a survey about their travel choices. “Almost half of drivers admitted to breaking the license plate rules,” concluded Dr. Qin after she and her colleagues examined this data for 2010. People covered plates, borrowed plates or cars on the days their license number was banned, or simply ignored the rules. “In 2008, I knew about the failure of driving restrictions in Mexico City,” Dr. Xu continued. “So I started talking to planners in the Beijing Transportation Authority, to warn of possible unintended consequences of the license plate rules.” This was the start of an ongoing relationship between EfD China and the Transportation Authority, include a conference and internships. A massive gridlock incident in late 2010 emphasized that the license plate policy wasn’t controlling congestion. Influenced by this incident and by Dr. Xu’s recommendations, the Transportation Authority submitted a list of new traffic measures. Some of these have been adopted, including higher parking fees and higher penalties for breaking the license plate rules. Still under consideration is a congestion charge: a fee to drive into the city at peak times. “A market-based system such as a congestion fee is likely to reduce driving more effectively,” concluded Dr. Xu.